When I’m old, I’m going to be a cat lady. Marion Kamper’s world revolves around design and thanks to her studies she was able to turn her passion into a profession. 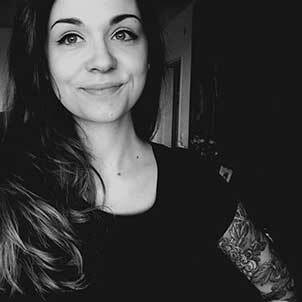 Today, Marion works as a freelance graphic designer and illustrator and is based in Austria. Her art features colourful portraits, detailed illustrations and elegant typographic elements. When she’s not designing, she loves travelling and watching TV series.